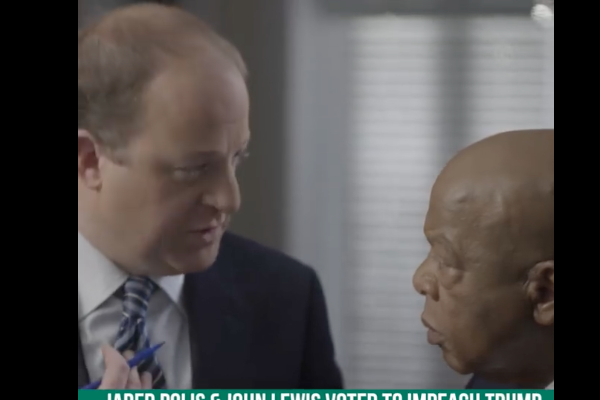 Civil rights leader John Lewis endorses Jared Polis in a campaign video. Civil rights pioneer Rep. John Lewis (D-Ga.) has endorsed Rep. Jared Polis (D-Colo.) in his bid to become Colorado governor and potentially the first openly gay person elected governor in the United States. Lewis, who helped organize the 1963 March on Washington and the 1965 Selma to Montgomery marches, announced his support for Polis in a 30-second video this week the campaign calls its first ad. Cited by Lewis as evidence of Polis’ courage being one of 58 Democrats in December — only one-third of the caucus — to vote in favor of a measure on the House floor to initiate impeachment proceedings against President Trump. The Democratic primary in Colorado is set for June 26. Polis is one of many Democrats seeking his party’s nomination to run in the general election.